HURLEYVILLE, NY (November 30, 2014) – Hurleyville-Sullivan First will hold its 18th annual “Deck the Doors” holiday decorating contest on Thursday, December 18. Judging will begin at 6:00 p.m. Winners of the contest will be awarded prizes provided by Hurleyville business owners. The group will tour every road in Hurleyville and judge doors decorated for the holidays. 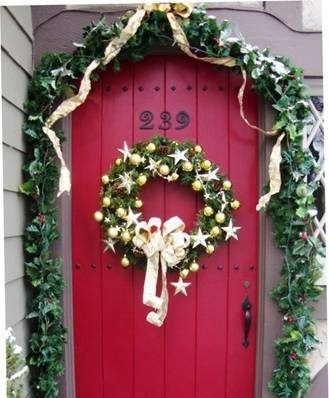 All holiday-decorated doors in the hamlet, including residences and businesses, are eligible. All Hurleyville residents are invited to attend the next meeting of Hurleyville-Sullivan First on Thursday, January 15, 2015, at 7:00 p.m. at the Hurleyville Firehouse on Main Street in Hurleyville.